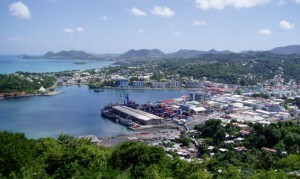 CASTRIES, St Lucia -- The Lucian People’s Movement (LPM) has cautioned the people of Saint Lucia over the government’s latest proposals aimed at wooing foreign investors, presented in the Tourism Stimulus and Investment Bill in the House of Assembly last Tuesday pending tangible proof that the strategy, which is to be employed both at home and abroad, proves effective. While acknowledging that, in terms of formulating a worthwhile policy, this is perhaps the most significant step taken by the government to combat unemployment in its two and a half years in office, the LPM said in a statement that this initiative is just one of many that could be implemented to boost economic activity in Saint Lucia. The LPM pointed to a number of historical instances in which Prime Minister Dr Kenny Anthony has made similar pronouncements that promised much but yielded little in terms of improving Saint Lucia’s economic outlook and thus reducing the rate of unemployment in the country. • An investment tax credit equivalent to the percentage of the initial capital expenditure. “However, in spite of all the above, the results proved that Dr Anthony has largely presided over a series of Labour administration blunders from 1996 to 2006 and from 2011 to the present, which have failed miserably to convince foreign investors that Saint Lucia is the right fit for them,” the LPM said. A closer examination of his performance in government shows that Anthony repackages old ideas from his 2004 budget, among others, even if the results have proven to be less attractive than the policies, which are often crafted on paper and proudly presented as “revolutionary” ideas at the various sittings of parliament, the party said. The LPM argued that a substantial portion of the economic roadblocks that Anthony continues to experience stems primarily from his insistence on applying political measures to what is an economic problem. “Another case in point is the construction stimulus package, which was essentially a grand political ploy to detract from the government’s inability to seriously address the issue of unemployment in Saint Lucia. Dr Anthony should have known back then that such an initiative -- especially at a time when thousands of Saint Lucians were unemployed and could not possibly acquire the spending power to purchase discounted plywood, galvanize, cement, etc. -- was perhaps an exercise in futility,” the LPM said. While most observers may have missed Anthony’s own admission that his administration had grossly miscalculated the effectiveness of the programme and was now convinced that job creation should be the focus of his government, the LPM will vigorously highlight the inadequacies of Anthony’s leadership, the statement concluded.